When you're deciding on what jewelry to pair with your dress, how do you make the final decision? It's a hard one, sure, especially considering the sheer amount of options to choose from. But it's very likely that you take the piece's cut and overall style into account (after all, you do want a necklace, ring, or earrings that will complement your dress, no?) As it turns out, however, sometimes, the best way to narrow down your accessory picks is to hone in on your dress's color. Yep, this style hack will change the way you accessorize, forever. Certain jewelry simply looks better with certain hues. Are you wearing a black dress for a night out on the town with your besties? Then there's a specific jewel that simply looks best. Or how about a fresh LWD? One diamond, in particular, looks the most elevated when paired with a white frock. Ready for more? We were, too. And that's why we tapped celeb stylist Britt Theodora to find out the absolute best jewelry for every dress color, including black, white, blush, blue, and more. Trust us—she offered up some seriously good advice. Read on to see and shop her breakdown of seven popular color-and-jewelry pairings. 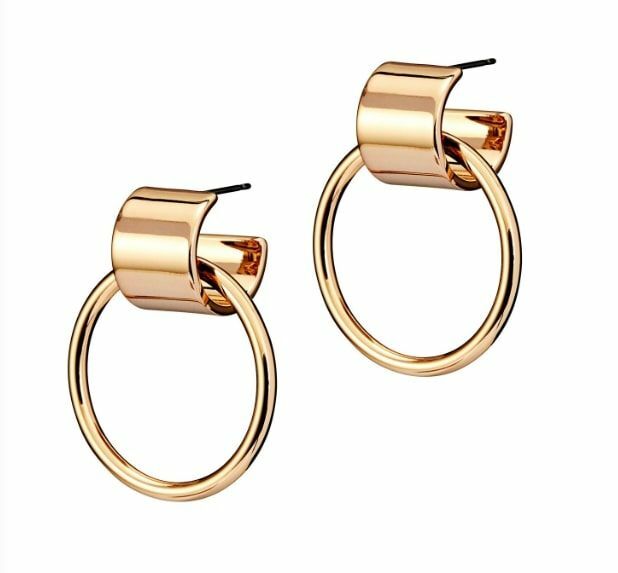 "There is something so chic about structural gold jewelry with an LBD. I love Jenny Bird because the pieces are lightweight. Doubling up with stacking bracelets and cuffs totally brings the look to another level." "I love white diamonds with a white dress. It looks so luxurious and crisp. You also don’t need to splurge on a pair, especially if you’re traveling! I love Melinda Maria jewelry and give them to clients who need to wear them for super-fancy events but can travel all over the world with them. A delicate, single-stacked diamond bracelet completes this look." "Blush is such a beautifully feminine color. I love cameo jewelry with this color, and Jacquie Aiche has some of my favorite cameo pieces. A little rose gold dream catcher earring to bring out the pink tones all together!" "I love Alison Lou's playful take on jewelry. Her brightly colorful pieces are perfect with a fun blue party dress. My client Bambi Northwood Blyth has tons of piercings, so I love to layer and stack everything!" "Red is powerful color, and I love pairing Jennifer Fisher hoop earrings with my favorite red dress. I love the Drew Hoop because it is a modern version of the hoop. I love mixing metals on my hands, so lots of stacking rings in silver and gold." "Gold is so glamorous. I love these Dannijo earrings because they give off a very '70s vintage vibe. 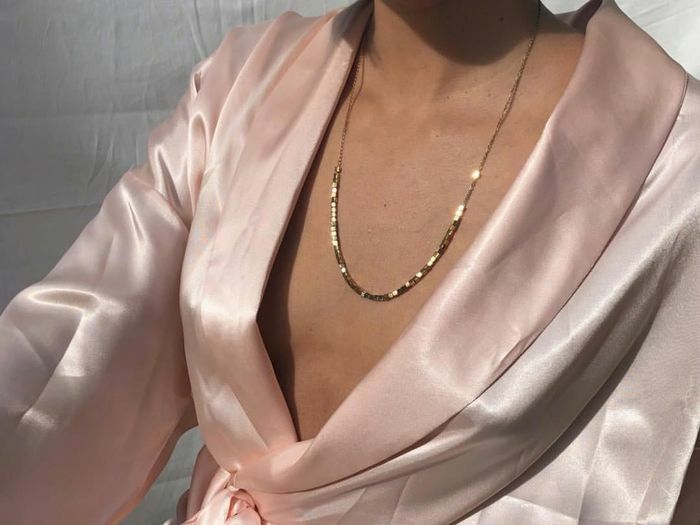 Layer some gold necklaces to add dimension to your dress!" "I love pearls with a silver dress. There are so many new ways to wear pearls, and I am obsessed with how Ben Amun has created these modern deco pieces, which will totally be trending in 2019." Next up, how to clean plated jewelry.